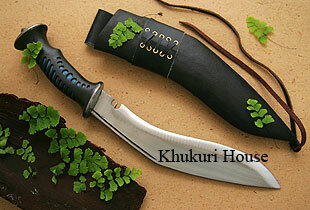 This New Jungle Khukri blade is very much like the Regular Army Jungle but with the Rubber handle, the handle often found on walking sticks used for trekking and camping. The comfort and the extra better grip that made this stick a great companion while trekking is now on the Khukuri blade. So don't go out without one.